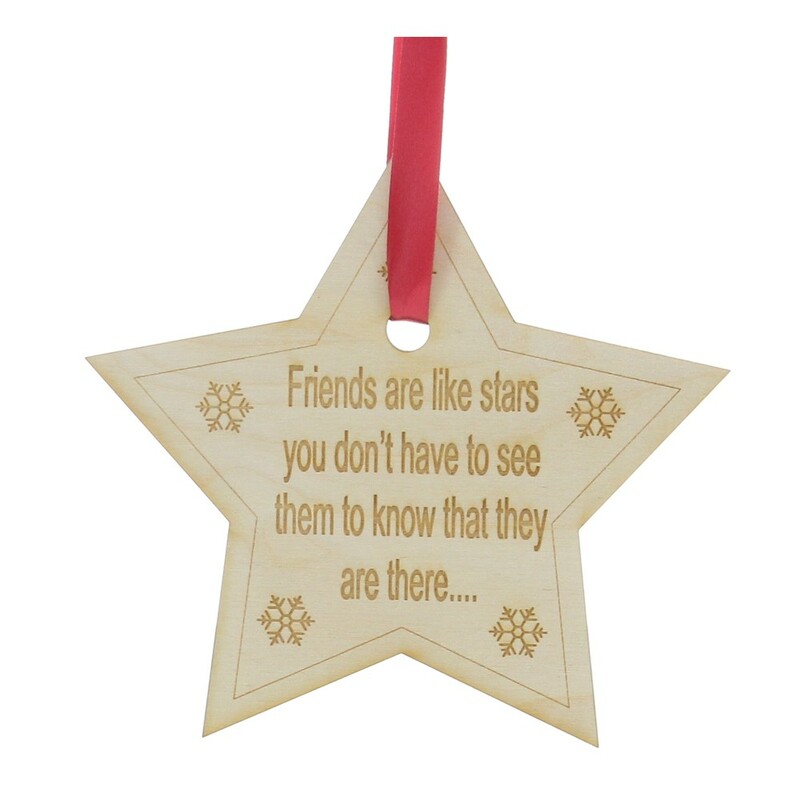 Personalised Engraved Wooden Star Christmas Tree Decoration. This amazing unique Star decoration measures 11cm high. It is made from 3mm thick ply wood. You will receive the engraved design and quote as shown or you can personalise with your own quote.